Attractive bushy shrub with the largest flowers of the Dryandra group. 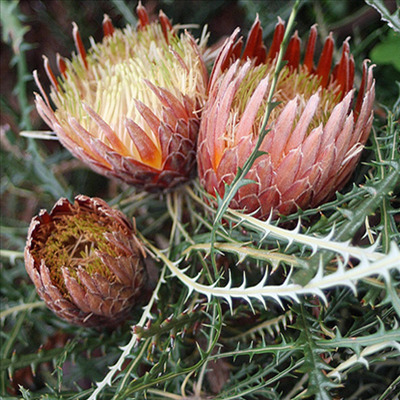 Grows well in full sun or part shade, if growing in semi-arid climates. Suitable for landscape or containers.